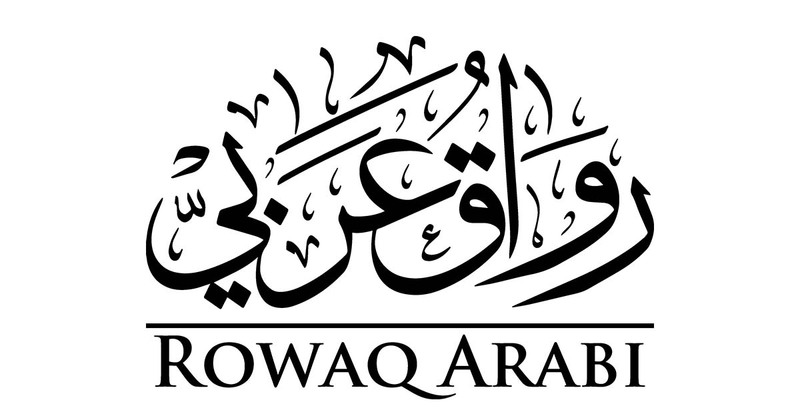 Rowaq Arabi is a journal aiming to foster the development of Arab thought about human rights. It is a periodical published by the Cairo Institute for Human Rights Studies (CIHRS), which shares the journal’s mission and philosophy. Before delving into a discussion of the journal’s aspirations and philosophy, we owe our readers a brief explanation of the journal’s name. According to the abridged dictionary issued by the Arabic Language Academy in Cairo, rowaq (also riwaq) is derived from rawq, meaning serenity or purity. The rowaq of a house is its front exterior part, a porch or veranda. A rowaq is also a roofed gallery for study in a mosque or temple, and a corner for meeting and discussion. This last meaning is what inspired us to call our journal Rowaq, for several reasons. The global human rights movement is a large, ongoing colloquium that does not deny the particularity and cultural distinctiveness of national, pan-national, and regional groups, organizations, and actors. There must therefore be a special corner for dialogue, meeting, and consultation among parties and actors in the Arab human rights movement—in other words, their own special rowaq. Our journal hopes to be just such a corner, in more than name. We chose the name Rowaq over school, colloquium, or study corner—though these too convey meanings of collective learning and knowledge—and not only because the name has a pleasing historical resonance. Study at al-Azhar, for example, would take place in its colonnaded galleries, the pupils gathered around their professor in one corner known by the professor’s name or those of his students and their regional origins—so, for example, the Moroccan rowaq or the Levantine rowaq. We have come to realize the necessity of an Arab rowaq, especially as we talk about our know-how and common experiences with the magnitude of the denial and violation of basic human rights in the Arab world. Rowaq is also derived from the verb raq, meaning to be pure or clear, suggesting that collective study in a corner for thought is a purifying or clarifying endeavor. Indeed, this perhaps best encapsulates the call of human rights: serenity and purity of intent and heart, or finding the state of serenity that comes through intimate dialogue and engagement. Is a longing for serenity a peculiarity for a movement like the human rights movement, which monitors and documents thousands upon thousands of human rights violations and grave abuses every day? A bit peculiar, certainly. The appalling violations of human rights in the Arab world, and other swathes of the globe, are enough to stir anyone’s conscience and deny them serenity and peace of mind, perhaps even instilling feelings of resentment and rejection. Nevertheless, serenity does not desert or abandon fighters for human rights, and peace remains their highest ideal and goal. Indeed, it is the organizing principle of the struggle to regain human dignity and respect for human rights everywhere. That means that peaceful struggle is the distinctive method of this endeavor. In fact, peaceful struggle rests not only on the value of peace; it is also an expression of historical and universal wisdom. This thought calls to mind another sense of the word rowaq that happily and more than a little coincidentally is related to the purposes of this journal. The Arabic Language Academy’s dictionary tells us that rowaq refers to a school of Hellenistic philosophy: Stoicism, derived from stoa, the Greek word for portico or gallery. Although the philosophy of the riwaqiyin, or Stoics, is not our topic and does not in any way constitute a framework or reference for this journal, some themes of Stoicism evolved to form significant intellectual dimensions of the human rights movement, first and foremost the central value of ethics in Stoic philosophy. The Stoics were the first to bring the oneness of humankind and human goodwill into the realm of politics. It is crystal clear that this belief lies at the heart of the animating tenets of the human rights movement, though alone it is not sufficient to understand the broad intellectual and ethical context in which the movement is situated. For example, without an affirmation of equality in the understanding of the principle of the oneness of humankind, the latter could become justification for global empire building, much like the Roman empire, where the principle contributed to the development of law based on the concept of Roman citizenship. The same is true of other global imperial endeavors launched from civilizations and locales from east to west. In addition, the ethical appeal proceeding from a definition of virtue tends largely to limit it to a concurrence of reason and nature. In fact, virtue itself must be defined. Although most philosophical schools do not necessarily pair goodness with freedom, this linkage, which is an important aspect of human rights thought, is one of the most important markers of the search for a new ethics based on inner faith and conscience rather than an abstract virtuous city or reward and punishment. In any case, we cannot draw a line from the Stoics or any other single school to the human rights movement. The movement continues to lay its philosophical foundations and define its ethical aspirations drawing on knowledge, ethics, and philosophy from a diverse array of civilizations and cultures, including Arab-Islamic civilization and culture. This process of derivation is the primary mission of this journal. Here we mean by derivation that which is higher and greater than a simple process of logical deduction. At heart, it is a process of midwifing a new cultural/civilizational project—human rights—based on Arab cultural and civilizational premises. This process may seem somewhat artificial, and it is, but in a very specific sense. It may be useful to analogize it to the medical procedures opened up by the awe-inspiring possibilities of genetic engineering and biotechnology. These procedures do not rely on chemical compounds made in the lab, but rather on a profound scientific knowledge of the natural genetic dispositions of a living organism: they treat the defects in this matrix of characteristics such that healthy properties replace disease-causing ones, thus ensuring – as much as scientifically and ethically possible – a viable future for the organism. These procedures involve a purposeful intervention, but not the type that introduces substances, values, or properties external to natural capacities. The aim of the intervention here is simply to call upon these natural capacities to act in synch without hindrance, lethal illness, or complex congenital abnormality. Can the medical applications of biotechnology be applied to culture as well? Not necessarily, but it is worth pondering the necessity, suitability, and ethics of experimenting with this new approach, particularly when it comes to Arab culture. This systematic approach to dealing with cultural matters is not as novel as the term biotechnology might suggest, especially in relation to a creative endeavor like human rights. Contrary to certain popular ideological claims about the historical development of Western societies, it is virtually universally accepted that culture is a living organism, and all living organisms can acquire new characteristics and properties as they adapt to their ever-changing biological environment. As a living organism, it should be possible for a culture to develop characteristics and properties latent in its genetic makeup when this means a healthier life. Logically speaking, the process is simple, though the specific approach for this goal may yet be unknown. If biotechnology permits us to master this approach for natural organisms, within the bounds of reason and ethics, the same becomes possible for culture. Similarly, knowledge accumulated from cultural history and cultural studies more generally teaches us that every culture is a complex web of historical layers, its surface features constituting just the most recent layer in a very long process of topographical evolution. An archeological survey familiarizes us with the historical depth of major cultures, providing insight about the internal composition of a particular culture—a composition that is not apparent to the naked eye in its exterior features. This topographic conception of culture tells us much, but it hides much as well. It is undoubtedly useful to understand the spatial and temporal arrangement of a culture’s layers, and the situating of each layer on top of the historical composition that preceded it. However, this does not tell us enough about the tensions and contradictions latent in any cultural system. The concept of a conflict within the culture is a crucial tool for the systematic, holistic understanding of cultural phenomena and the culture as a whole. It is virtually impossible to understand culture otherwise, unless we apprehend it as a stationary entity that was produced once and for all in its final form, its patterns and predispositions set down just so. We can understand the concept of cultural conflict not only in relation to material, class-based, parochial, national, and other interests, but also as something grounded in numerous contradictory and at times conflicting ethical tendencies, rational contemplations, and spiritual insights. An affirmation of the internal diversity of any cultural system is no less important than the need to recognize diversity and peaceful coexistence between cultural systems in the global order. The political primacy of certain currents in the culture should not give them a privileged position or monopoly on the right to express and talk about the culture as a whole, thus forming a barrier to critical reflection and historical and ethical examination from within that whole. Of course, this applies to the most recent, surface layer of the cultural complex. As Arabs, we live and breathe the effects of claims by certain extremely rigid cultural or political currents to possess a monopoly on the right to legitimately represent Arab culture. One of the prime tenets of this journal is to defend every rational, ethical critique of such monopolistic claims, particularly those that generalize and flatten an understanding of the Islamic religion, which unites the majority of people in the region. Indeed, we sympathize with non-Arab Muslim thinkers’ criticism of an Arab tendency for self-involvement, which dominates common interpretations of the Islamic religious experience. For our part, we affirm that Islam, as a cultural wave, cannot be appropriated by Arabs in the name of the right to legitimate representation; it belongs to all peoples who believe in it, and to all the peoples of the world. By the same token, we believe that no current in Arab thought should have a privileged right to legitimately represent Islam. The genuine richness in the religious experience of Muslims, Arabs and non-Arabs alike, was historically achieved thanks to diversity. The only principle to which we aspire and aver is peaceful coexistence, creative dialogue, and the right of peaceful appeal and fair competition between numerous currents in interpreting and guiding the religious experience of Muslims. In any case, the central objective of this journal is deriving the principles and guidelines of a civilizational project to secure the basic rights of Arabs from the totality of Arab-Islamic culture, as the common legacy of all cultures and civilizations in the Arab region for centuries. 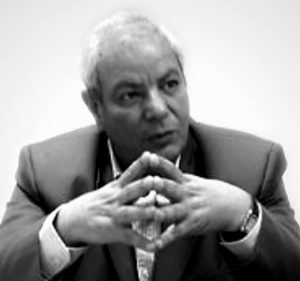 It is logical for this process of derivation, as we described it above, to move freely between different streams of Arab-Islamic thought, since the object is to establish the legitimacy of human rights, along with its legitimate aspirations and authentic experiences, from within Arab culture. If it is understandably necessary to cement intellectual diversity in the present inflection of Arab culture, it is also legitimate to look for the historical sources of the present diversity. In other words, we should understand the historical composition of this culture as the aggregate of particular types of accommodations between historical streams of diversity, whether these compromises were peaceful and consensual or violent and oppressive. The goal of liberating Arab culture from monopolistic claims and political oppression is not the victory of one particular current or another, whether past or present. It is the victory of expression and, in turn, diversity itself, for cultural flourishing is impossible amid claims of monopoly, oppressive conditions, or the use of overwhelming force to resolve contradictions or intellectual disputes. The human rights movement must not surrender when faced with life’s exigencies, incremental progress, and the partial nature of every accomplishment. Human rights will not descend to our world fully formed to supplant the political, economic, and social arrangements that violate rights or constitute a source of this violation. We can believe in the possibility of progress toward the respect and realization of human rights as a historical process that is always incomplete, that always requires the deferral of some claims in favor of other, more urgent ones. The process may suffer a setback in one area to triumph in another, or in the next historical moment. Because this is undoubtedly so, a demand-focused ethos lacking this historicism could end up effectively abandoning the responsibility for incremental achievement and the actual fulfillment of basic rights. The human rights movement in this sense shares the responsibility to progress and cannot cast it off on the government, the state, or an international organization. The way to this is through programmatic efforts, an approach that examines risks and costs as much as guarantees and promises. From this perspective, it is vital to develop an economics, a sociology, a linguistics, and an anthropology of human rights, in the same way that the legal study of the human rights system has developed. This is the “school” on which we based Rowaq Arabi, in the hope that it grows and flourishes. It is a school that does not preclude or impugn the legitimacy of other schools. The purpose of this journal is not, and will never be, to replace or supersede other existing or future journals founded to empower the message of human rights in the Arab world. We believe that competition, diversity, and complementarity are legitimate parameters and that monopolization, appropriation, and sectarian parochialism should not be admitted. The Cairo Institute for Human Rights Studies believes in the positive, distinguished role –both in the past and currently– played by the journals preceding Rowaq Arabi. The value of Rowaq Arabi is enhanced and developed by companionship and collegiality, strengthening respect for human rights and supporting its cultural legitimacy in the Arab world. We have the utmost esteem and respect for all our fellow journals without exception, as long they share the basic purpose of advocating for a new Arab civilization in which the basic rights of Arabs and citizens are no longer violated and abused. They represent a diversity of schools with complementary goals, methods, and approaches. The first consists of theoretical or empirical studies that address topics of general import through the lens of sociology and the humanities or any combination of approaches, methods, and theories derived from these fields. The second is dedicated to reports covering practical issues spotlighting actual developments in Arab politics or culture, or economics, institutions, and other spheres of the Arab landscape. Although it is the journal’s policy that these reports should include worthwhile general conclusions, they should nevertheless be closely tied to their particular concrete topic in the Arab world or their specific field of social relations. The third section is devoted to debates. With its connotations of competition and conflict, the term may cause some unease, but the journal has no objection—in fact, it finds it encouraging—to affirming diversity and the “legal” equality of different interpretations. It seeks to foster a spirit of critical interpretation even at the cost of dispute and disagreement as long as it proceeds from respect for other opinions and the equal right of expression for all. The fourth section consists of reviews of recent literature in human rights or related fields with political relevance for human rights, whether books, articles, or studies published about human rights or in relation to the field. The final section will publish documents with relevance for human rights issues in the Arab world. These may be statements from political parties, trade unions, grassroots organizations, intellectual forums, or government and governmental organizations. The journal selects those documents that hold something new or which the journal wishes to spotlight in order to encourage dialogue. Underlining the fact that Arab culture is among those global cultures that have contributed to the establishment of the human rights project as a new global, humanistic aspiration of historical necessity. The journal is pleased to publish studies and essays examining the contribution of Arab-Islamic civilization in systematizing and codifying basic rights in philosophy and practice, as well as contributions that enrich and develop the intellectual products of Arab culture that are predisposed toward the basic rights of humankind. Reviving, affirming, and enriching the Arab humanistic tradition, which has carved broad channels throughout the culture and civilization; to give rise to a distinguished school of Arab humanism, and developing its contribution to global culture and civilization. Publishing in-depth research and studies on economic, social, political, and cultural development and its impact on the fulfillment of human rights in the Arab world, with a focus on structural issues hindering the realization of these rights together with ideas strengthening the ability to overcome these obstacles. Engaging with the educated public in the Arab world and familiarizing it with current discussions, dialogues, and debates in the global human rights literature. Publishing Arab contributions in human rights fields for a broad base of people around the world who are interested in human rights research and studies. The journal is pleased to invite thinkers, researchers, and activists in human rights to contribute studies, reports, debates, book and journal reviews, and documents they deem important to stimulate and enlighten the Arab reader, following the guidelines on the penultimate page of this journal. We welcome each contribution and hope that Arab general readers and specialists alike welcome our own modest contribution here. Editorial from Mohamed al-Sayed Said, editor, Issue 1 of Rowaq Arabi, January 1996.